Threads Video, German Oral Resources, UCD Maths Support Centre, Resource of the Week Archive, Physical Literacy Resources, Bia - New Resources Added, Irish Newspaper Archive, World Book Online through Scoilnet and much more. Wa tch a video of Attymass National School in Mayo using Threads as part of their engagement with oral history in the classroom. Threads is an initiative that provides an online space for schools to store and share their student’s oral history projects. Sco ilnet have gathered a selection of resources to help students prepare for the German Orals. Included in the General Conversation resources are examples of questions, examples of answers, checklists, flashcards and peer assessment sheets. These will encourage and support students with their German conversational skills. UCD Maths Support Centre in conjunction with the UCD Access Support Centre have created online tutorials for Leaving Certificate Mathematics students. The videos and accom panying PDFs were designed for both the Higher and Ordinary Level Mathematics course. The Algebra collection is now available on Scoilnet. A great way for students to begin their Algebra journey. 2018 is not over yet, but it's been an exciting year so far. Look back over the Resource of the Week archive to see how it has grown and evolved tremendously throughout this year. Scoilnet now have a section dedicated to physical literacy. Find out about the "Move Well, Move Often" resources for developing the physical literate child through the lens of Fundamental Movement Skills. Visit the link below for activities, tips, plans and resources. World Food Day is celebrated on the 16 October annually as a key international day of awareness and action dedicated to tackling food hunger. The world has set a challenge to achieve Zero Hunger and better nutrition by 2030. But governments can’t do it alone - everyone has a role to play. Visit Scoilnet for resources, lesson ideas and links. INFOMAR is Irelands national marine mapping programme and they have now made their resources available to Scoilnet. Subject editors have developed curriculum-focused activities around these resources. Captivate your post-primary geography students with these INFOMAR resources and supporting teacher created activities! The United Nations has declared 2019 to be the Year of Indigenous Languages. It is through language that we communicate with the world, define our identity, express our history and culture and learn. With this in mind, CensusAtSchool included a number of questions on learning a new language and preserving the Irish language. The census will provide your class with an opportunity to collect and examine data on this popular topic for 2019. Scoilnet has a great range of resources in Gaeilge for the topic of Bia, including worksheets, presentations and video links. Resources cover all types of food, as well "Bricfeasta", "Bosca Lóin", "Glasraí" and "Bia Sláintiúil". Schools in Ireland now have access to the Irish Newspaper Archive through the Schools Broadband Network. The archive gives teachers and students unrivalled access to primary source documents through national and local newspapers covering hundreds of years of Irish history. Over 60 newspapers are included in the archive with some dating back as far as 1738. Politics & Society is a new optional subject for the Leaving Certificate which was introduced on a phased basis in 2016. 1. Watch a Video Introduction to the Subject. 2. Meet the Key Thinkers. 3. Connect with Other Politics & Society Teachers. 4. View Additional Sources of Information. Following feedback from users, Scoilnet has enhanced the Tools for Teachers page to include access points to the many Scoilnet services and licenced content that the site offers, e.g. Irish Newspaper Archive, Dictionary of Irish Biography, TeacherCPD Online Courses, World Book Online, CensusAtSchool and many more. Why not explore the page today? Allows assessment for learning to happen anytime and anywhere. If you visit Scoilnet, why not explore the resources to support the teaching of Oral Language in the English lesson? They include speaking and discussion prompts, team games, assessment and vocabulary lists. Scoilnet.ie have teamed up with NUI Galway to provide Science lessons in both English and Irish to support the teaching of Science in the classroom. Follow the link above and find the easy to follow lessons with supporting videos. Fidget spinners have taken the nation by surprise. The challenge for teachers is how to put an educational spin on fidget spinners. Why not try catching your pupil's attention with Scoilnet's popular resources on fidget spinners for English (pdf), Gaeilge, Science (pdf) and Maths lessons? Ireland now has unlimited access to World Book Online through Scoilnet! When you need fast, reliable information for homework, reports, or just a lingering question, World Book Online is the place to go. From pre-primary to secondary and beyond, World Book has databases for every learner at every level for an immersive learning experience. Scoilnet recently released a ‘browse’ feature. The facility enables users to access resources in a guided curriculum-driven manner and will complement the existing faceted search. Its introduction comes following sought feedback from users and from an analysis of search analytics and patterns over the past two years. Earlier this year Scoilnet introduced a ‘refine by contributor’ facility to enable users narrow results according to the contributor. behind. Learning Paths - Create, Share and Engage! Create a quick and easy collection of resources. Gather them while browsing or searching for something specific on Scoilnet. Arrange them by number, theme, topic or whatever suits you. Resources aim to share the awareness of the new Healthy Eating Guidelines and Food Pyramid launched recntly by Minister of State for Health Promotion. World Scoilnet.ie is pleased to announce that the five volume publication Art and Architecture of Ireland is freely available to all schools on the Schools Broadband Network through JSTOR.org. Art and Architecture of Ireland is an authoritative, fully illustrated account of art and architecture in Ireland from the early middle ages to the end of the twentieth-century. Politics and Society teachers have been sharing resources and participating in discussions using the new online forum. Politics & Society Class Presentations - 90 PowerPoint slides with an introduction to assessment, details of the course, homework assignments, philosophy of John Locke and power & decision making in schools. Sample Scheme of Work - SOW for the months of September - December (five class periods per week). Activités quotidiennes - 20 common activity phrases with audio. Assessment Grid for Topical Essays - Word doc. Comment l’Europe lutte contre les naufrages de réfugiés en Méditerranée? - Explanatory video. 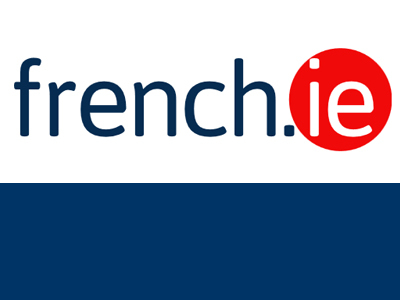 Fr ench.ie has a great collection with resources tips on approaching the oral, mind map suggestions and links to help with speaking French. Further details here. If you are looking for Irish language resources search for 'Sraith' and refine by 'most recent' - you will find lots of options there. To coincide with World Autism Day 2016, which took place recently, SESS has developed a video (20 mins) to demonstrate a number of evidence-informed instructional interventions that teachers working with students with Autism Spectrum Disorder in Ireland may draw upon to promote and facilitate development and learning. Almost 1,000 schools uploaded their Proclamation for a New Generation to Scoilnet before Easter. In years to come this will be a wonderful record to show the values and aspirations of students in 2016. Submissions were made in Irish, English and one even contained Arabic script. Did your school upload your proclamation? The upload facility will be kept in place for another month. You may search by using your school roll number. Also, Scoilnet has a link to an excellent Democracy and General Election resource that is well worth downloading and using for a CSPE class. On the subject of 1916, links to talks from Prof Michael Laffan (UCD) were added to Scoilnet - worth a view. Our thanks to teacher Niamh Murray for sharing three of her own resources relating to the role of women in 1916. The Proclamation for a New Generation proved to be a huge success with almost 1,000 different schools uploading their proclamations on Scoilnet. The Ancestry Project invites students to trace their family tree back to 1916 and upload their work to Scoilnet. There is no limit to the number of projects that teachers can upload.. The projects can be uploaded to a special searchable area of Scoilnet. The Rising was a key event in Irish history. 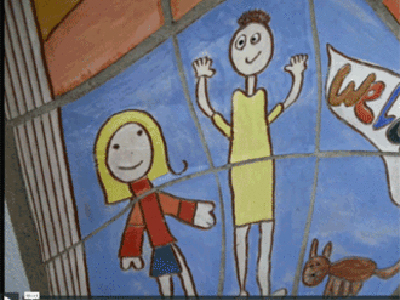 The resources in this Scoilnet Themepage collection have been reviewed by teachers for their relevance to the Irish curriculum. Many have been created by teachers for teachers! OSi have introduced some minor changes to the legend of their Discovery Mapping series. In 2016, the State Examinations Commission will use Discovery Series OS maps with the newly designed legend and redesigned symbols in examination papers. Qu'est-ce que le changement climatique? Useful resource to introduce students to the vocabulary around climate change. Scoilnet has developed a mini-site exploring the historical evolution of the flag and its adoption by the Irish state. The content on the site is presented through a series of 'stories' and by a 'timeline'. History Support Material - reminder! Just to remind teachers that a special collection of resources has been pulled from the old Hist.ie website – built to support the new curriculum for Senior Cycle History. The resources are centred around: Teaching History; Research Study; Documents-Based Study. Scoilnet’s 11,000+ resources are handpicked by teachers for their relevance to the curriculum. Join fellow teachers by adding your resources – it could be a webpage you find online or a resource you create yourself. All you need is your Scoilnet Account. Included are resources, developed with SCRATCH, which are great for Maths assessment.